Spies in the Sky was short-listed for the prestigious Royal United Services Institute/Duke of Westminster Award for Military Literature. The other books short-listed were All Hell Let Lose by Max Hastings, The Chief: Douglas Haig and the British Army by Gary Sheffield, George Kennan by John Gaddis and With Our Backs to the Wall: Victory and Defeat in 1918 by David Stevenson. At a ceremony in July 2012 the Award was given to Sir Max Hastings. Taylor was delighted to be short-listed with such a group of distinguished historians. Spies in the Sky: The Secret Battle for Aerial Intelligence tells the gripping story of the reconnaissance pilots tasked with the risky job of taking aerial photographs over occupied Europe during the Second World War, and the boffins who invented a completely new science to analyse these photographs and to discover the enemies' secrets. Based at RAF Medmenham, a country house in the Thames valley, these men and women provided some of the most vital intelligence of the war from finding the Bismarck to tracking down Hitler's V-weapons, and from planning the Dam Busters' Raid to preparing for D-Day. 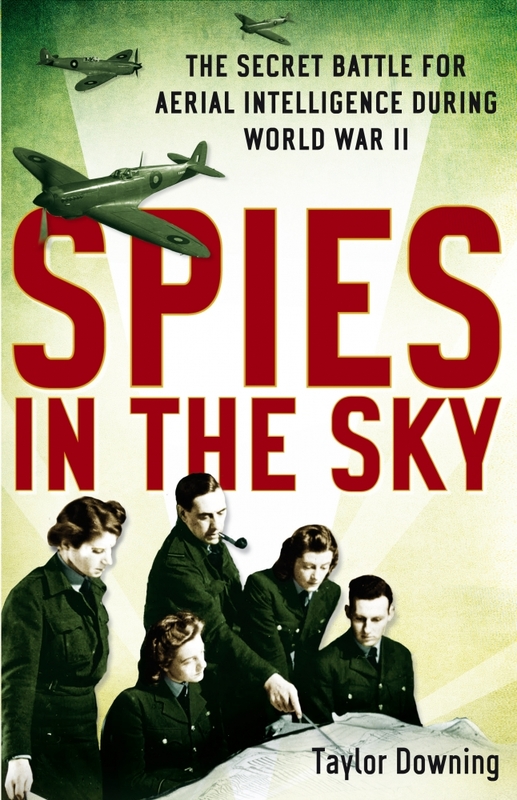 With a host of colourful characters, Spies in the Sky is an historical narrative to rival the tales of the famous code-breaking centre at Bletchley Park.